Daniel Chester is a visual artist living in County Leitrim. He obtained a Masters in Visual Arts Practices from IADT in 2009, previous to that he obtained a Degree in Fine Art from Sligo IT in 2001. Chester has exhibited throughout Ireland and abroad, with a number of recent solo and group shows such as “The Land is Ours” solo show Luan Gallery, Athlone, “Seeing is believing” Sol Art Gallery, Dublin, “North by Northwest, Kings House, Boyle Arts Festival, VUE RHA Dublin 2016 He has been awarded a number of visual arts bursaries and recently was solo award winner for the Cairde Visual Award 2016, Model Arts Centre Award 2016.. shows in 2017 include AAF New York, AAF Battersea and AAF Hamstead, “In Pursuit of Stillness Solo Show Hyde Bridge Gallery, Sligo, “Hinterland” solo show Chimera Gallery, Invited Artists Hamilton Gallery Sligo, “Facing Northwest” Invited artist Kings House Boyle Co Roscommon, RUA annual awards 2017 and Art Source RDS Dublin. Daniel Chester’s work is represented by both Sol Art Gallery, Dublin and Chimera Gallery Mullingar. Upcoming shows in 2018 include a two person show in the Hamilton gallery Sligo and a solo show with Sol Art, Dublin. 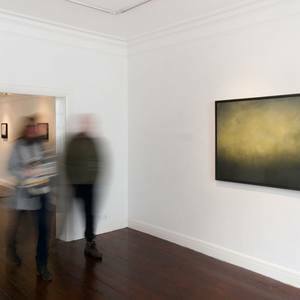 VUE RHA Dublin, eight gallery, Dublin. "RDS Art Source, November RDS, Dublin. "Invited Artists" December, Hamilton Gallery, Sligo. Altered State, Joust Gallery, London. “Corporate Republic” Leitrim Sculpture Centre, Manorhamilton, Co Leitrim. “Public Gesture” The Lab exhibition space, Foley Street, Dublin.